Pet Health Advice and Pet Tips by Pet Expert Wendy Nan Rees: Dr. Shawn Messonnier talks about holistic healthcare. Dr. Shawn Messonnier talks about holistic healthcare. Recently we had a wonderful guest on our show, Dr. Shawn Messonnier D.V.M., who practices the wonderful way of integrated veterinary medicine - which I believe every vet should know and acquire this type of training, if not for themselves, then at least offer to other vets in there practice. Dr. Messonnier, a 1987 graduate of Texas A&M College of Veterinary Medicine, opened Paws & Claws Animal Hospital in 1991. His special interests include exotic pets, dermatology, and animal behavior. Dr. Messonnier is a well-known speaker and author. In addition to serving clients, he is a regular contributor to several veterinary journals, sits on the advisory board of the journal Veterinary Forum and regularly consults with veterinarians across the country and is a holistic pet columnist for Animal Wellness, Body + Soul, and Veterinary Forum. He is the author of several books, including The Natural Health Bible for Dogs & Cats, The Allergy Solution for Dogs, The Arthritis Solution for Dogs & Cats, The Natural Vet's Guide to Preventing and Treating Cancer in Dogs and 8 Weeks to a Healthy Dog. He is the host of the weekly award-winning radio show, "Dr. Shawn-The Natural Vet", on Martha Stewart Radio SIRIUS channel 112 on Tuesdays from 8:00 PM to 9:00 PM (EST) with a repeat on Sunday from 7:00 PM to 8:00 PM (EST)...and now on XM channel 103, live every Tuesday night from 8:00 PM to 9:00 PM (EST)! As is true in people, the diet a pet eats directly influences its health. Many diets contain by-products (often listed on the label as an animal byproduct) and chemical preservatives such as BHA and BHT. These ingredients are not healthy and may contribute to excessive inflammation and oxidation, two important causes of chronic disease, in many pets. Additionally, as is true with the food we eat, some diets may contain partially hydrogenated oils and high fructose corn syrup; both of these ingredients have been linked to a variety of diseases in people and likely also cause health problems in pets. Pet owners should spend time reading the label of the pet’s food. Wholesome ingredients such as whole grains, pure meat proteins, and natural preservatives like vitamins C & E are preferred. According to pet expert Dr. Shawn Messonnier, author of The Natural Health Bible for Dogs & Cats, "An important part of preventing disease is choosing and feeding the most wholesome food. Owners who do so help ensure better health for their pets." Here is an excerpt from our program. What are your goals as a holistic veterinarian? Some of you may wonder why I promote natural pet care and integrative medicine. Why do I write so many books and articles on the topic, and why my on the radio each week encouraging pet owners to do a better job of taking care of their pets? Is it for money? Well I certainly do make a nice living as a veterinarian, and my writing and radio show do add to my income. Is it for fame? Well I am well-known in the field of natural pet care, and that fame does allow me to spread my message. No, the main reason I'm so outspoken on the topic of natural pet care and integrative medicine is for one simple reason: I want to change the way veterinarians and pet owners care for pets. While this is a simple goal, it is certainly not an easy one to achieve. When pets get cancer before the age of one, and will likely not survive until the age of two, there’s something wrong with that. When pets receive monthly applications of chemical flea products, even though they have minimal or no exposure to these parasites, there’s something wrong with that. When pets receive vaccinations every six to 12 months, even though all of the current conventional research tells us that pets only need a few vaccinations their entire lives, there’s something wrong with that. And when we can easily prevent cognitive disorder (doggie and kitties Alzheimer's disease) by giving our older pets a few nutritional supplements, and your veterinarian and the media fail to share this information with you, there’s something wrong with that. We veterinarians and pet owners can and must do a better job of caring for our pets. We must do a better job of preventing diseases. I'm convinced, having used the natural integrative approach to health care for over 10 years and having seen the positive results from this approach, that this is the best way to keep ourselves and our pets healthy. And so I will continue my mission to write about, speak about, and teach about this wonderful approach until everyone finally gets it. What are your goals for developing a holistic health plan? This article is from a column I once wrote where I discussed my 5 goals for developing a holistic health plan for your pets. These goals include preventing disease, saying NO to drugs, healing the pet rather than treating disease, offering “Hope for the Hopeless,” and saving money on pet care. Over the course of 5 weeks I explored each of these goals in more detail. Goal #1 - Preventing disease -this goal seems simple enough; let’s prevent disease so that your pet never becomes ill. I would actually prefer to see healthy pets rather than ill ones. It’s obviously not practical or possible for a pet to never become ill, but we can do a lot to minimize illness. While vaccines may be appropriate at times, a holistic approach appreciates the fact that most of the diseases we see in practice are chronic degenerative diseases. Conventional medicine really does a poor job of preventing and treating these disorders, as it is better suited to treating acute problems like infectious disease. A holistic approach utilizes several steps in order to prevent disease. First, feeding a natural diet, free of harmful chemicals and byproducts, minimizes cell damage. Minimizing vaccines and the unnecessary use of medications and toxins, is also important. Finally, a well-prescribed supplement regimen can reduce inflammation and oxidation in your pet’s body, decreasing the chances of your pet developing chronic diseases. Goal #2 - Say NO to Drugs -One of the most important aspects of a holistic health care plan for your pets is saying NO to drugs whenever possible, and finding alternatives to traditional medications. Drugs certainly have their place in the treatment of many diseases, and we shouldn’t totally abandon their use. In my opinion, they work best for acute problems (such as serious infections and the occasional flare-ups of chronic problems like allergies and arthritis.) More chronic problems (and often minor acute problems) respond best to alternative therapies like herbs, homeopathic, magnetic therapy, chiropractic, and acupuncture. Chronic use of conventional drugs is often more expensive than alternative treatments, and side effects are much more commonly encountered when using conventional medications than when alternative therapies are used. Additionally, many pets treated with chronic drug therapy develop side effects from these drugs, or even another disease from the drug therapy! This means that even more drugs are used to treat these secondary disorders, leading to further increases in side effects or second or third diseases. Goal #3 - Heal the pet rather than treat disease - In veterinary school, which focuses only on conventional medicine, doctors learn to properly diagnose and treat signs and symptoms, and hopefully diseases. While there is nothing inherently wrong with this approach (even holistic doctors need to diagnose the correct problem before they can treat it,) if our ONLY concern is treating the disease then we are failing our patients. The holistic approach focuses on the PATIENT and not the DISEASE. This is a radically different view of medicine. Healing the patient means, as much as is practical, restoring it to a normal, healthy condition. A normal, healthy patient is, for the most part, disease free. Notice I have not talked about curing disease. We can restore health even in pets which harbor a fatal disease such as cancer. They can be "“healthy" as long as possible, fighting off the cancer, keeping it in remission, and "living with their disease." Talking about cancer as an example, Dr. Kevin Hahn, one of the contributors to my latest book, The Natural Vet’s Guide to Preventing and Treating Cancer in Dogs admonishes us not to forget that "there is a pet attached to that tumor." Rightly so, his focus (and that of doctors who take a holistic view of health and disease) is on treating "pets with cancer" rather than "treating cancer." This different approach is the essence of developing a holistic approach to caring for yourself as well as your pets. Goal #4 - Offering hope for the hopeless - Offering "Hope for the Hopeless" is actually my favorite of our 5 goals. Many cases of illness are considered hopeless by conventional standards. Maybe there are no therapies for the specific problem (an example is liver cancer,) or maybe the pet has not responded to the appropriate therapies. Before you give up, before you euthanize your pet, consider alternative therapies. I have seen way too many pets that were deemed “untreatable” that responded well to a holistic approach. While not every pet can be cured, many can heal enough to live a good quality life and coexist with their diseases. One of my favorite cases is Lexie, who was 2 years old at the time I saw her. She was correctly diagnosed with polyarthritis and treated by her conventional veterinarians, one of whom was a specialist in internal medicine. Unfortunately, the treatment made Lexie sick, and she also developed diabetes due to her therapies. Her doctors told the owners that no more could be done for her and that she should be euthanized. Fortunately, Lexie responded to a number of holistic therapies. She is doing great at this time. While she still has her polyarthritis, she has been in remission for several years and is taking minute amounts of medications that do not make her ill.
Pets like Lexie are a prime reason why I remain committed to a holistic, integrative approach to pet care. It’s particularly rewarding to helps pets that conventional medicine cannot help. These cases are not considered “hopeless” when viewed from a holistic perspective. Goal #5 - Saving money on pet care -I’m often asked if a holistic pet care program costs more than a traditional pet care program. In general, the answer is “no.” It’s usually less expensive to prevent problems rather than treat them. Additionally, using natural therapies usually, but not always, costs less than conventional drug therapy. There are several reasons for this. Supplements are usually less expensive than drugs, especially if generic medications are not available. Chronic drug therapy usually requires frequent laboratory monitoring of the pet to ensure side effects have not developed; this is usually not necessary with natural therapies. Drugs can cause secondary diseases, which require even more drugs to treat these diseases; this doesn’t happen when using natural therapies. For those times when a natural approach costs more, keep in mind that you’re pet will usually be healthier and live longer with this approach. It’s impossible to put a price on that! And finally, I always encourage pet owners to use pet health insurance, which can cut the cost of any preventive or therapeutic program. If you want to save money on pet care, usually combining pet insurance with a natural health care program is the way to go. More from our interview and program with Dr. Shawn coming later this week, stay tuned!!! What an excellent article from a wonderful, caring veterinarian who is not content with only conventional treatments. I agree wholeheartedly with him, and do believe a healthy diet can prevent many problems. Thanks Dr. Messonnier! 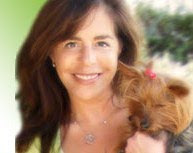 I enjoyed reading your comprehensive and informative article about holistic healthcare for pets. This is a super blog with great info on the holistic way. I just wish I could afford to buy the books and the food. My two dogs are having terrible skin problems at the moment and I feel sure it is because of the food I am feeding them. Are there any supplements I can use for skin problems?? ?